Men's Shoe Styrofoam Toe Former (Left Foot), measures 5 1/2" x 3 1/4" x 3". 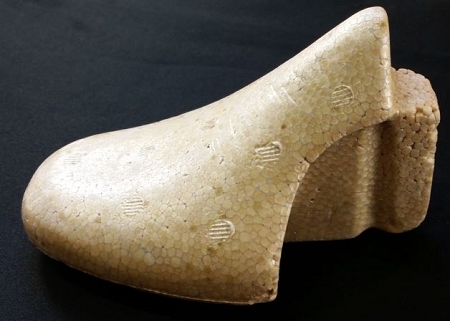 This former piece is used to create and form a sugar Men's Shoe. As seen in the tutorial by Iris Rezoagli.